Once again Apple didn’t implement accessibility for iMessages for Windows. This is one of the many other features requested by iPhone users time and again. Although Apple has taken their iMessages stock app to the next level in iOS 10 but iMessage for Windows is still missing. The ability to send a message to a few people together without adding them to a group chat. Giving an iMessages Windows app for Windows PC users. Apple mobiles, smart devices and all the other Apple products can communicate with them. You can perform a lot of tasks that you’d do from your mobile from your MacBook Pro if you happen to be away from iPhone and working on your MAC. This feature is called accessibility. However, Apple has not extended this accessibility feature of Apple to non-Apple products. Therefore if you’re a Windows PC user, you cannot use your iPhone features with your Windows computer. 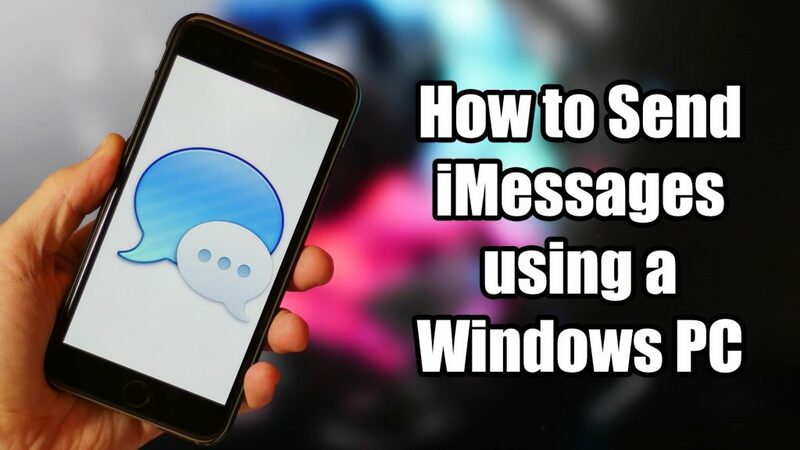 But if you’ve got Jailbreak on your iPhone, you can install WinMessage which brings iMessages to Windows computer. WinMessage is a free to use software which lets you access iMessages on Windows computer. Its developer 0xFireball released the source code of WinMessages on Github. You can use this open source to bring iMessages to your Windows computer whether it’s a laptop or a desktop. The source code is easy to set up with no need to compile the source code or to download any additional tools on your Windows computer. But WinMessages is only for jailbroken iPhones and iPads and you need to install Remote Messages, a tweak from Cydia to use WinMessages. Remote Messages is a WebSocket server for WinMessage. Don’t worry if you don’t get any of the above gibberish. We will guide you through the whole method stepwise in a moment. Click on the setup icon. You will see WinMessage on your computer desktop but you mustn’t open it yet. Open Cydia on your iOS device. Search and install Remote Messages. Now go to Settings page and look for Remote Messages. Adjust your account details. You must know your current IP address and enable SSL during configuration. Once done, go to computer and launch WinMessage. You will use your credentials that you set in the last step to login. Once you login, you will find yourself in your iMessages app on your Windows computer. Since the .exe file has been removed recently, the developer has cautioned that to run WinMessage, you’ll need to build it from the source code from now on. But the good news is that you can now reply and compose an SMS or iMessage on your Windows PC as well.